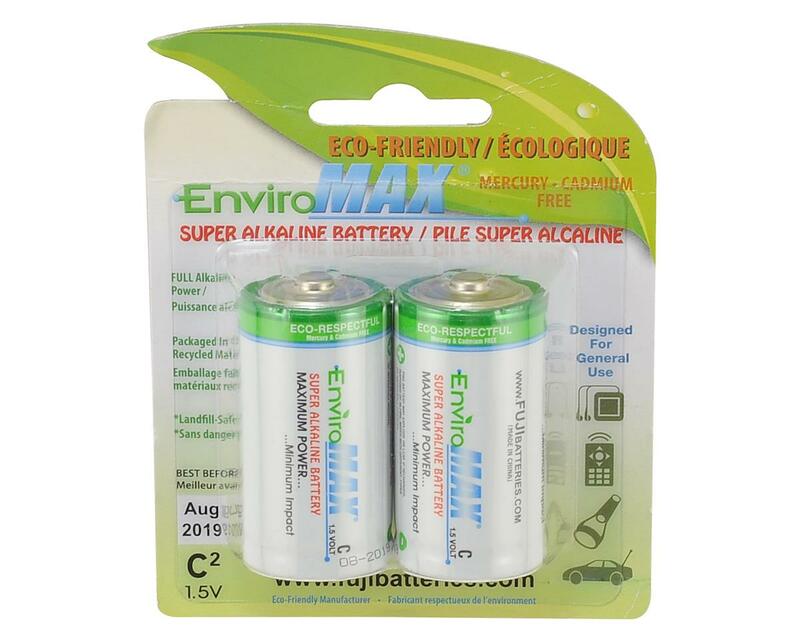 Fuji EnviroMAX C Super Alkaline Batteries are eco-respectful. From the way they are made to even the date coded packaging. They are Cadmium, and PVC free, and even the paper they’re packaged with is recycled. These batteries offer a 30% power boost, 1.5 volt, and reverse current prevention.